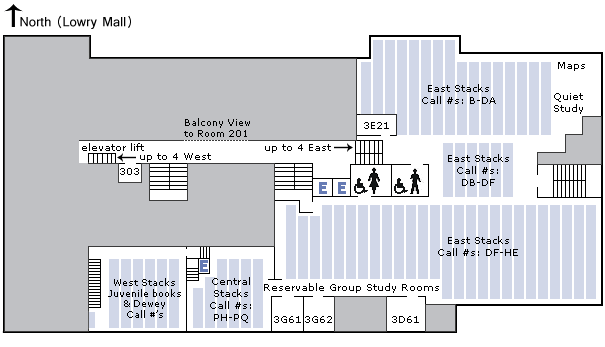 Seminar Rooms: The Classics Seminar Room (4A51) is on the 4th Floor, East, in the southeast corner. The room is locked after 5:00 p.m., M-F and on weekends. 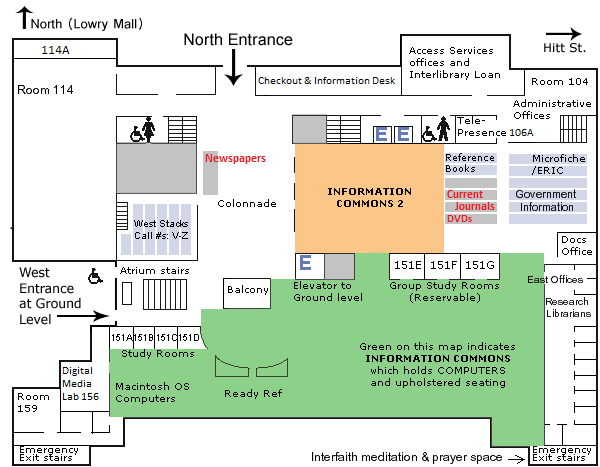 Contact the Security Desk at the West Entrance for access when rooms are locked. 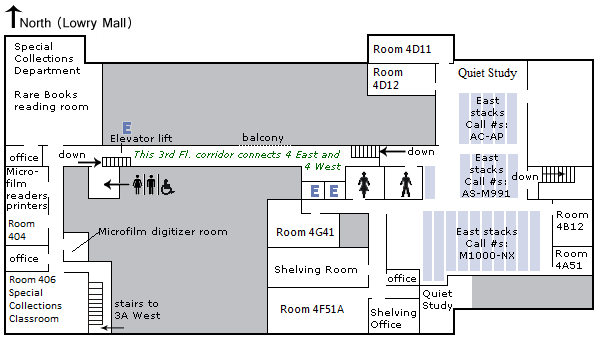 The Art History Seminar Room (4A41) is located to the right of Recorded Sound and the east stairwell on 4th floor, East. 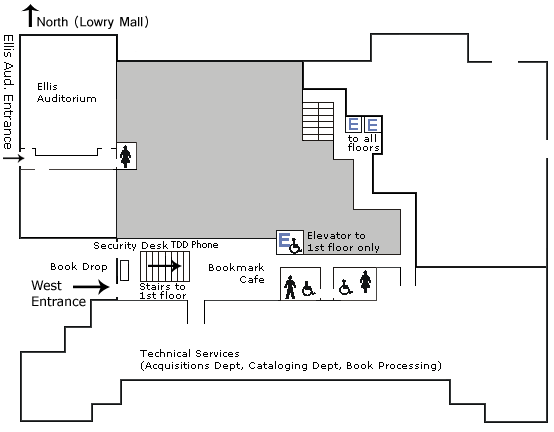 The 3rd floor Seminar Rooms, rooms 3D61, 3G62, and 3G61, are located on 3rd floor, East, along the south wall. Priority use for these seminar rooms is given to study groups of two or more (click here to reserve) and to classes and groups that have reserved times with Reference Administrative Offices (153 Ellis, 882-4692).